When Ginger and I began growing the Lee Bottom Fly-In, and NORDO News, things took on a life of their own. Back then we had energy and ambition. Things were innovative. Our plans for the future delivered varied but exciting reactions. Often we caused a stir. The website was ahead, instead of behind. NORDO News kicked up anger, praise, and confusion. And the fly-in? It breathed life into grass roots events friendly to all pilots. One attendee had so much fun he went home with a burning desire. The note he sent us was unique. 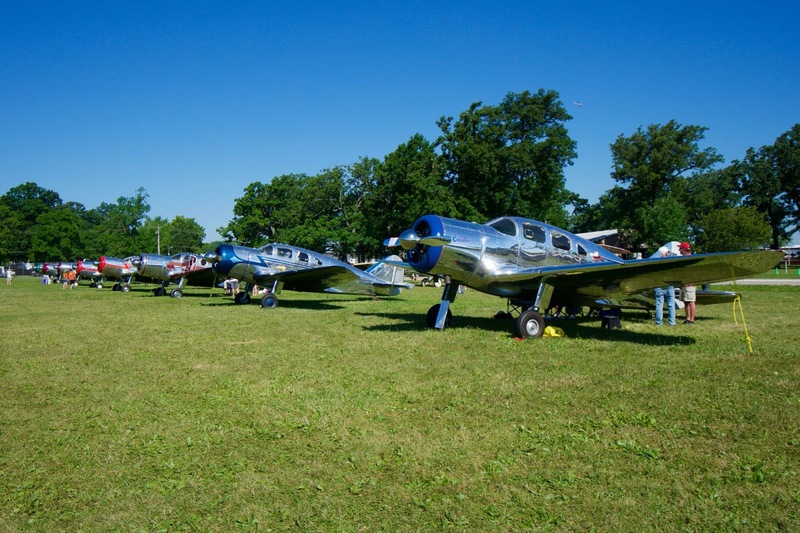 The original email read something like this, “I came to your fly-in in my Mooney and had so much fun I went home and bought a Spartan.” That person was Jim Savage. If that name sounds familiar, he’s the guy who led the charge to get all those Spartan Executives together at Oshkosh. Photo: Found at Jim's page. Looking back through the years made me think of Jim and his note. I had to ask him about it. One short message later and we had the full story. This following is part of that conversation. “In 2006, I visited Lee Bottom for the first time for your Wood, Fabric and Tailwheels event. I arrived with my friend in his 1958 Bellanca Cruisemaster. 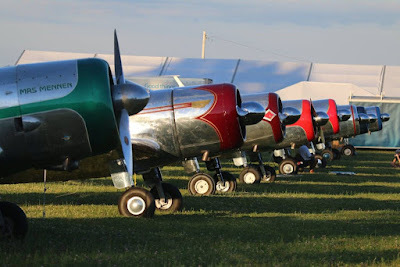 While there, I was so impressed with what I saw, that I decided I needed to shift gears and turn my attention from late model airplanes to vintage tailwheel airplanes. I decided to focus my attention on getting a Spartan Executive and spent the next year casually looking for one. I returned to Lee Bottom again in 2007, and with a fresh dose of inspiration, decided to pick up the pace in looking for the right Spartan.” The rest is history. If you loved the collection of Spartans at Oshkosh, remember, it was a grass roots event, friendly and open to everyone, that inspired Jim Savage to purchase such a plane. Today, he is one of aviation’s most energetic and enthusiastic members. Check out Jim Savage's Spartan page. How Did We End Up With Such Good Sponsors? The "We're Over It" Review of the Fly-In. What Will be Missing from the Fly-In?